Genetically modified organisms have been at the center of a lot of stormy debates for the past few decades. On the one hand, advocates say the genetic modification is one of the best ways to fight world hunger. As the human population is expected to reach seven billion this decade, malnutrition is a growing global problem. However, transgenic crops and livestock are not the new Green Revolution. Industrialized farming has resulted in decreased biodiversity, increased use of pesticides, climate change, and polluted water supplies. The introduction of genetically modified (GM) crops will hardly alleviate these problems, and are more likely, according to some activists, to exacerbate them. In addition, GM crops are owned and patented by those who created them, like agri-tech giant Monsanto (once voted the most evil corporation in the world), who enforce their patents through legal action against any farmer they suspect of ‘biopiracy’. Currently, the USDA and FDA does not require GM foods to be labeled. This list has been put together in the hopes that it will help concerned consumers avoid hidden GMOs. Nearly all of the corn grown in the US is genetically modified: in 2009, transgenic corn accounted for 86% of the total US crop, and 26% of all corn grown worldwide. 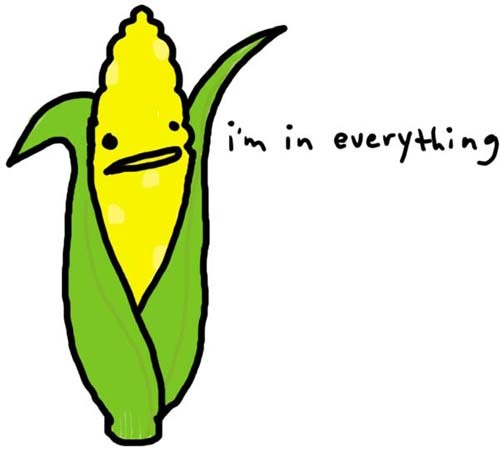 Corn is used in a huge variety of products: aside from the obvious offenders like corn flakes, polenta, grits, and meal, corn is used to make a variety of starches and sugars that appear in processed food. GM corn is also used as livestock feed. Roundup Ready crops have been found to contain residues of the deadly herbicide. Few studies have been done on the toxicity of GM maize, and concerned consumers are forced to wonder why the FDA is gambling with our health on untested crops. Worldwide, soybeans are the most prevalent GM crop. 77% of the worldwide soy crop is genetically modified. In the US, the rate is closer to 91%. 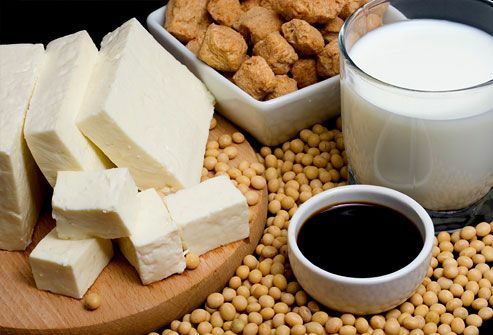 Soy is found in almost every processed food, under various guises including: hydrogenated oils, lecithin, emulsifiers, tocopherol (a vitamin E supplement) and proteins. In addition, soy products are prevalent in more obvious forms like tofu, soy sauce, tempeh, and soy milk. This is bad news for those with a soy allergy, one of the most common food-based allergies. Two different studies by biologists in the Russian Academy of Science, Alexey Surov and Irina Ermakova, showed that GM soy had some scary side effects on mammals, including low birth rates, high infant death rates, retarded growth, delayed sexual maturity, and high rates of sterility. In Surov’s study, there was even a high incidence of congenital birth defects among subsequent generations, all of whom were fed on a diet high in GM soy. Surprisingly, the third most prevalent GM crop in the world isn’t another grain, it’s cotton. 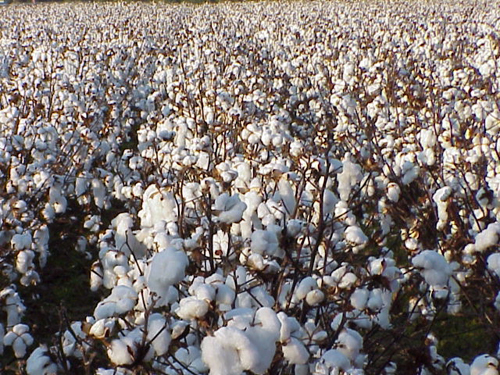 Nearly half of all cotton grown worldwide is genetically engineered to be pest resistant. India has nearly 10 million hectares (about 38,600 square miles, slightly larger than the state of Maine) devoted to growing GM cotton. Navdanya, an organization created by Dr. Vandana Shiva, carried out a study that showed Monsanto’s GM cotton crops degraded soil health, killing off endemic microbes and decreasing the overall fertility of the soil. In addition, and despite being engineered to resist pests, farmers have been forced to resort to heavy spraying after insects bred resistance to the BT strains spliced into GM cotton’s genetic structure. 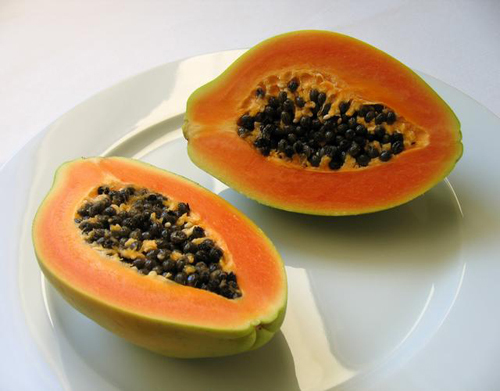 Based on the success of the Hawaiian crop, several countries in SE Asia have been developing their own versions of transgenic papayas. None have yet been approved for unregulated growing or human consumption, but that hasn’t stopped them from cross contaminating orchards in Thailand. Just something to keep in mind the next time you order a smoothie. 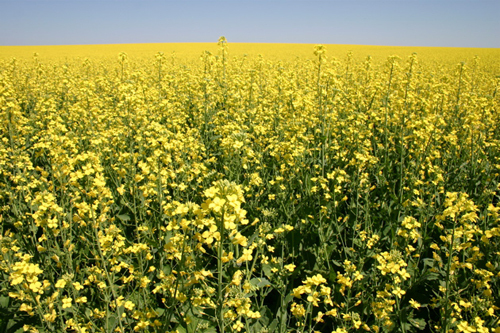 Canola is a cultivar of the badly named rapeseed, grown principally in the US and Canada, which between them produce between 7 and 10 million tons of seed per year. The plant is grown principally for its oil, which is used for cooking and in other products such as newspaper inks, candles, industrial lubricants, and biofuels. The grist, a byproduct from oil production, is used as animal feed, particularly for pigs. In the last few years, it has also become a weed. Last year, researchers in North Dakota found feral canola plants growing on roadsides and in ditches, sometimes far from any planted fields, where such an escape might be explained as an accident. As much as 86% of the plants tested were genetically modified. Moreover, some of the plants had interbred, resulting in plants with “stacked traits”. The feral plants prove that GMOs are capable of competing in the wild. What happens when crops are modified to become hardier, or more resistant to drought or cold temperatures? Invasive and introduced species are already one of the leading causes of extinctions. Plants will inevitably escape their fields. Really? We beg to differ. 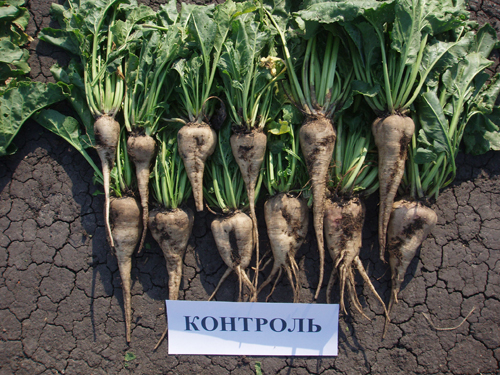 Sugar beets, as their name suggests, contain high levels of sucrose and are grown principally for sugar production. About 45% of the world’s sugar originates from their white, lumpy roots. Monsanto introduced their patented herbicide-resistant sugar beets to the market in 2006, and by 2008, RoundupReady sugar beets accounted for 95% of the American crop. In January of 2008, a group including the Center for Food Safety, Organic Seed Alliance, Sierra Club, and High Mowing Seeds jointly filed suit against the USDA, claiming that the agency had deregulated production of the GMOs without exploring potential environmental impacts. In August of 2010, the judge found in favor of the plaintiffs, and effectively banned production of new plants. The problem with this plan was that within four short years, Monsanto had killed off almost all competition, becoming the main supplier in the US by a long shot. The USDA defied the judge’s decision, and as of February of this year, is allowing farmers to plant the GM beets. Alalfa is grown around the world, mostly as forage for dairy cows. It’s also used as bee pasture, and the shoots are consumed as table vegetables. Unlike most fodder plants, alfalfa is a perennial, and can provide a perpetual grazing ground for years. 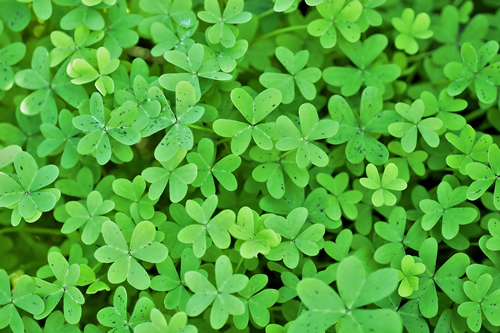 As a nitrogen-fixing plant, alfalfa can be used as a cover crop or as green manure on fields. In 2005, Monsanto introduced its herbicide-resistant GM alfalfa. It was planted for two years before The Center for Food Safety and Geertson Seed Farm filed a lawsuit against the corporate giant. A judge ordered an injunction to keep farmers from planting the GM alfalfa, until the USDA issued a full Environmental Impact Statement. The Supreme Court later overturned the ban in favor of Monsanto, but the USDA was still forced to research the full possible effects of the GM crop before. More importantly, the judges agreed that cross-contamination of GM crops was a serious issue affecting farmers and consumers. 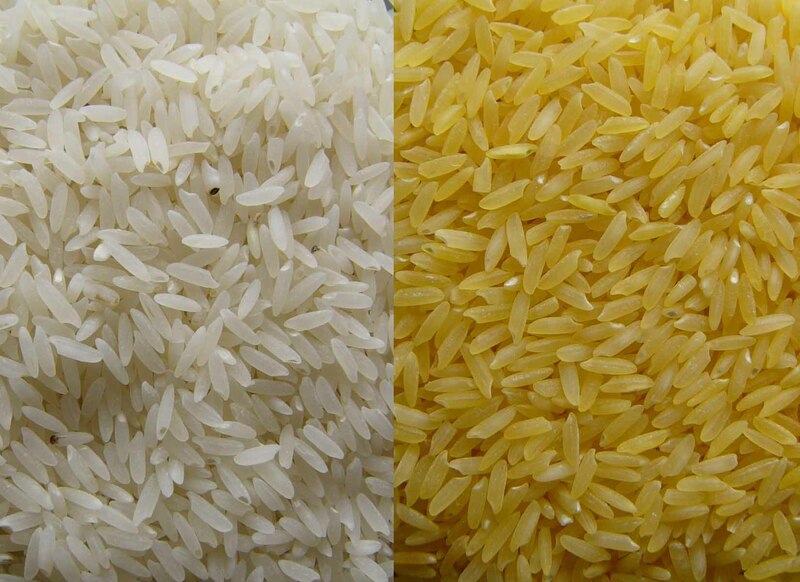 Golden Rice is the poster child for the GM foods movement. Created by a Ingo Potrykus of the Swiss Federal Institute of Technology and Peter Beyer of the University of Freiburg in Germany, Golden Rice is a cultivar of white Asian rice, modified to have more vitamin A. It was designed and is marketed as a humanitarian tool, created to combat vitamin A deficiencies in developing countries. Malnutrition is not just a matter of food: it’s a problem with roots in poverty, lack of education, and social unrest. Genetic modification of crops is not the answer. Remember the rumor that KFC’s name change was spawned by their use of mutant Frankenstein chickens? While that may have just been an urban legend, transgenic livestock is definitely on its way to supermarket shelves. The closest to getting approval is the AquaAdvantage® salmon, which has been genetically engineered to grow to market size in half the time it normally takes. 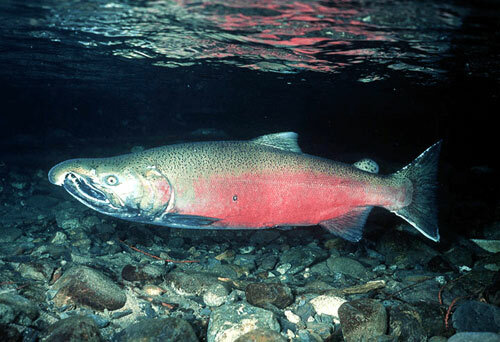 Recently, the company behind the GM salmon applied to the USDA for the fish to be deregulated, making them available for commercial farming. The company, the Massachussets-based AquaBounty, has guaranteed that there is minimal chances of the fish escaping into the wild, and — because the fish are effectively sterile — almost none of them interbreeding with wild salmon populations. The genetics of livestock and other animals have already been altered in efforts to produce organs for human transplants. More recently, Canadian scientists have created a more environmentally friendly pig. The Enviropigs, as they’ve come to be called, have had DNA from mice and E. coli bacteria spliced into their genes. The animals produce less polluting phosphorus in their manure, which makes it safer to use as a fertilizer. Phosphorus is responsible for creating algal blooms that create vast “dead zones” in bodies of water that are void of life. However, it’s not the pig’s genetics that’s the real problem, here. It’s commercial hog farming. Raising thousands of animals in small spaces is never going to be environmentally friendly, Enviropigs are just another example of biotechnology trying to fix the symptoms instead of the cause.